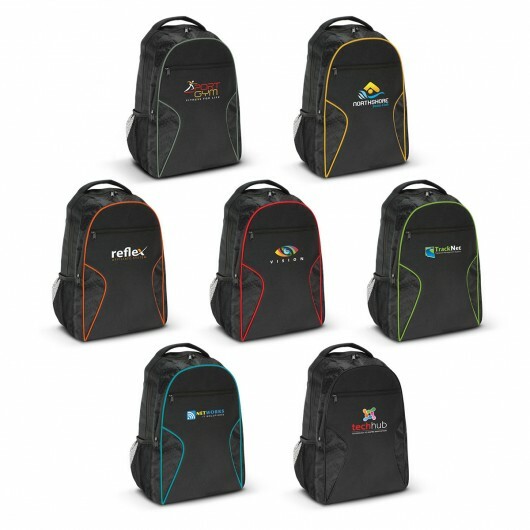 Turn heads with some of these laptop backpacks, featuring decorative nylon accents and coloured piping. The perfect backpack for school, Uni, work and play. 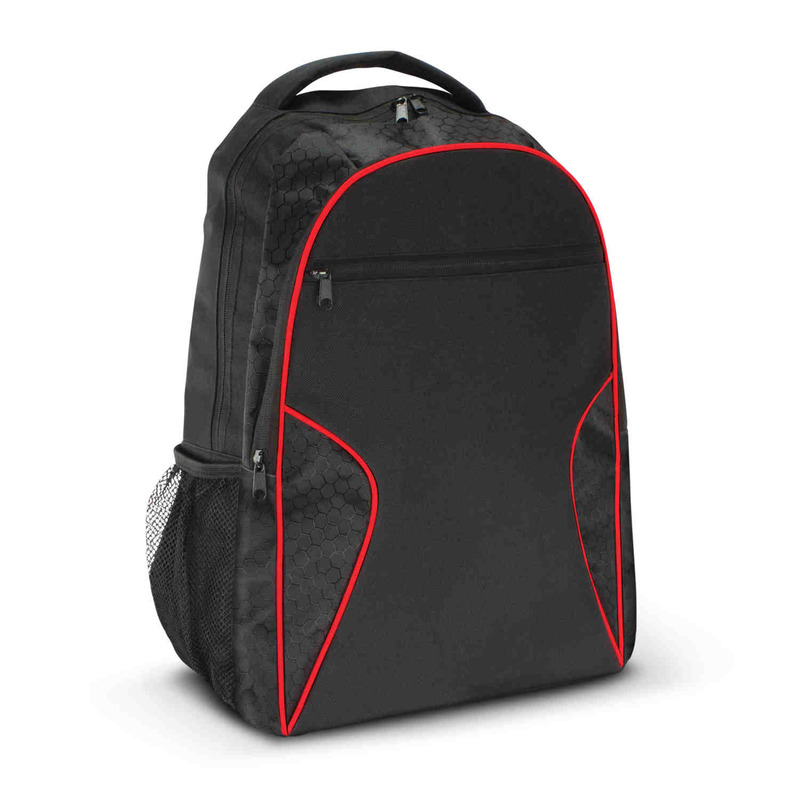 These two compartment backpacks are made from 600D polyester with decorative ripstop nylon accents and smart coloured contrasting piping. They have a padded back for comfortable carrying, padded woven shoulder straps which are adjustable and a fully padded internal laptop compartment. Other features include a zippered front pocket, an internal pocket for a tablet, a padded carry handle as well as two mesh side pockets.